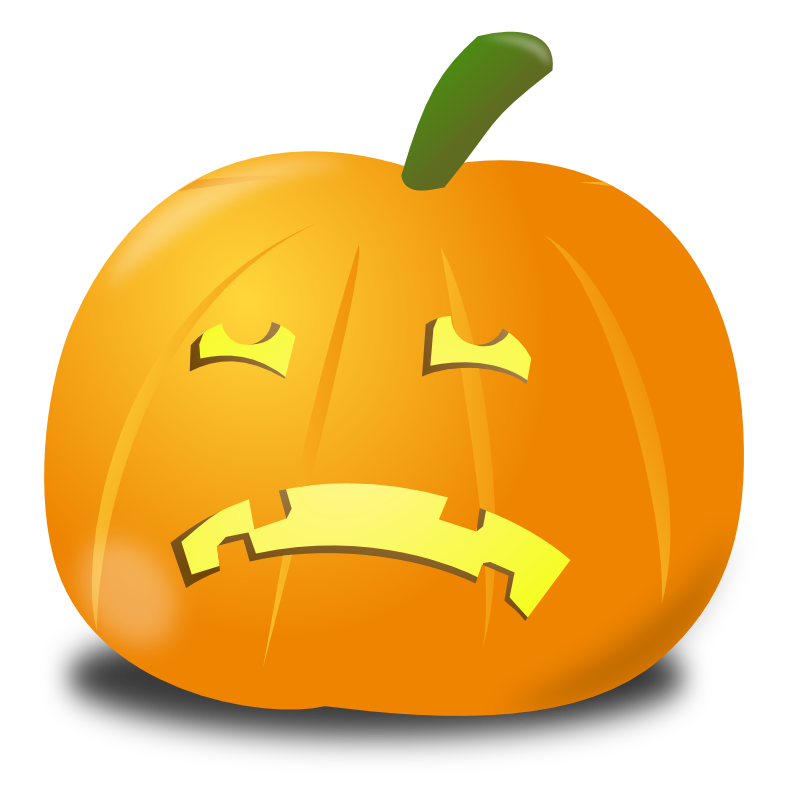 In a couple of days, children in our area will walk towards our door, see a sign on the garage saying "No Candy"... and leave. We don't "do" Halloween. Not in this house, anyway. What happens when you're both a Lego fan and a science fiction fan? Well, it doesn't take long before you start creating minifigures and scenes to recreate some of your favourite sci-fi movies and shows. These are all what I've seen referred to as "purist" in that all parts are official Lego parts from sets. If you look around the internet for "custom" minifigures, you'll find a lot of people doing this, but you'll also find a lot of custom printing, custom decals, and things like that. None of that here! All I've done is mixed and matched existing parts to create my own versions of these sci-fi characters. Next month I'll be exhibiting my growing Lego beach town, "Minotaur Bay", at the Ipswich Brick Event. Construction is under way on a Maritime Museum. 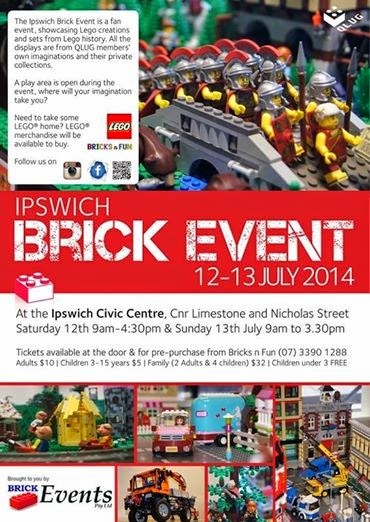 The Brick Event will be held at the Ipswich Civic Centre on the weekend of July 12 and 13. Come along to see some very creative displays by local AFOLs (Adult Fans of Lego). Here are ten films we'll be watching in this house over the month of December. They're in alphabetical order... until you get to my favourite "Christmas" movie. I've been spending a bit of time lately using Lego's Digital Designer software to design some creations without having to actually have particular bricks in certain colours. Last night's multitasking (working on LDD while catching up on "Sons of Anarchy") resulted in the above little design. I may have borrowed the red and white colour scheme from Australia Post. Continuing on from Tuesday's post, here's the next stage in the process, with all four units arranged in a rectangle, with a desk top as a building surface. Lego sorting/building table. Library in background. 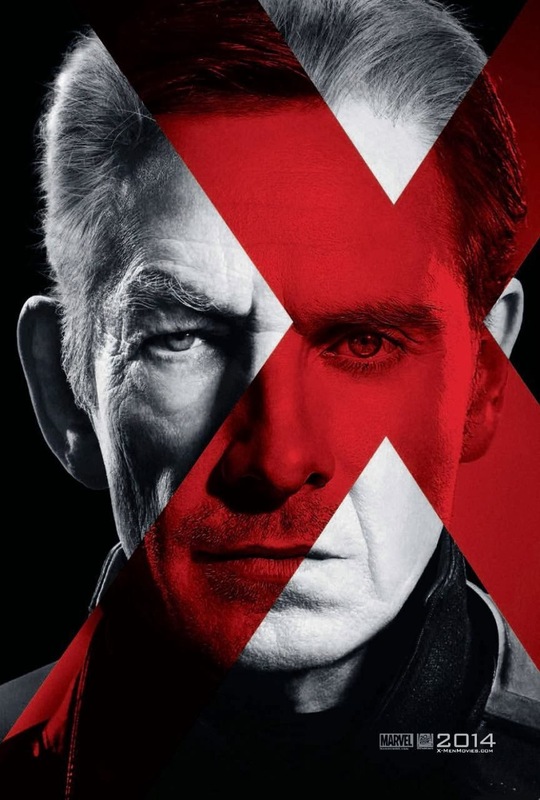 "X-Men: First Class" was a great prequel, but just as much a great film. 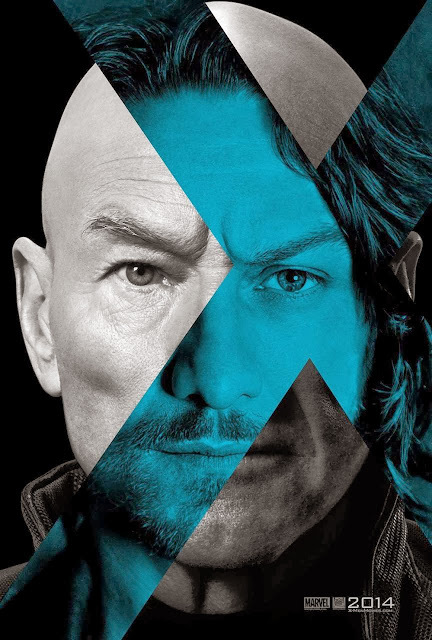 The well-cast actors gave fantastic performances, and minor flaws aside, it's easily my favourite so far of the films with "X-Men" in the title. Next year its sequel will hit our screens: "Days Of Future Past", with a time travel plot enabling the use of both the original cast and the young prequel cast. I just came across teaser posters for its sequel, which I've got to say are pretty damn cool. How far away is 2014? CityCycle is not a terrible idea after all. Which Way is Home Again?